​In the coming years, we hope to bring together all or most of the groups that help preserve and/or promote our history to help plan and accomplish other projects and events. Some of the organizations that we would like to partner with to accomplish some of these goals include the following: Prescott Frontier Days, Sharlot Hall Museum, Phippen Museum, Smoki Museum, Arizona Cowboy Poets, Yavapai Cowbelles, Yavapai Cattle Grower's Association, Prescott Chamber of Commerce, Prescott Downtown Partnership, City of Prescott, Elks' Opera House and others. 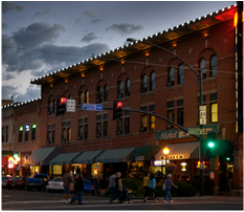 Endorsement letters have been received from Prescott's City Council & Mayor, the Chamber of Commerce, and the Prescott Downtown Partnership stating that they support the concept. Phase III will include the City's signature events. This scholarship program would include an inter-generational component that includes educational outreach within the schools, at participating organization's facilities, and at the future Western Heritage & Cultural Center.